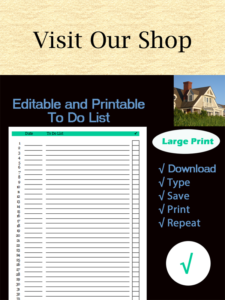 Are you feeling overwhelmed with things to do around the house? Our three-step process can help you. 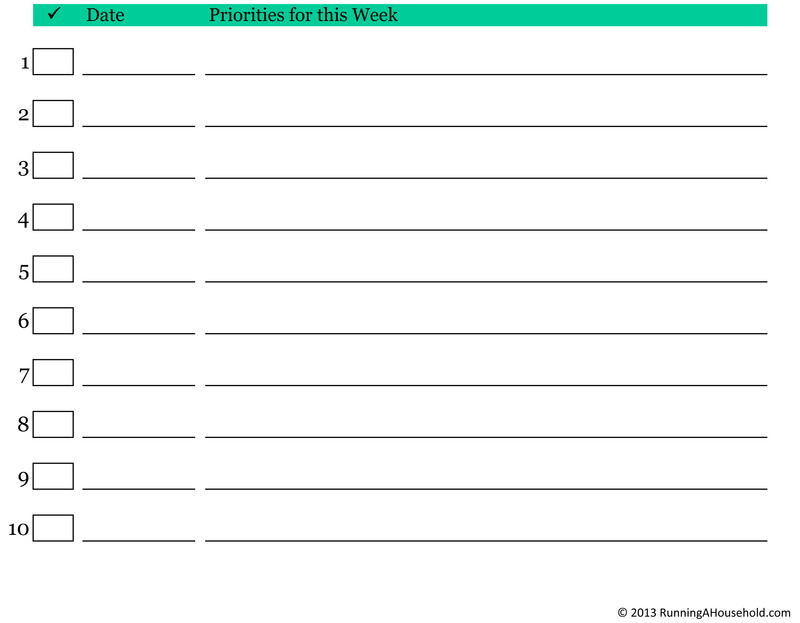 We offer printable forms below to help you set your priorities and plan your week. Feeling Overwhelmed with Household Chores? It’s easy to get overwhelmed with things to do. It happens from time to time, especially when the seasons change, since our schedules change, along with the chores and tasks around the house. Stress can also happen when there’s a major holiday coming up, like Easter or Christmas. Sometimes, when there’s too much to do, you may not know where to start. That can result in nothing getting done at all. So, start by thinking about what you want to get done this week. It’s easy to create a long list of things to do. However, at the end of the week, you may find that you completed many of the tasks, just not the ones that really mattered. That’s why you’ll want to set some priorities and schedule time on your calendar. Let’s look at a real life example. Our example for this purpose is the week of April 7th. We are officially in the spring season, and Easter is less than two weeks away. 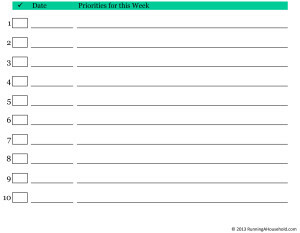 Step #1: Determine what you want to get done this week. 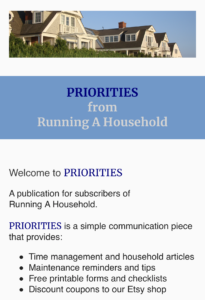 Now, you’ll need to schedule time to work on these priorities. 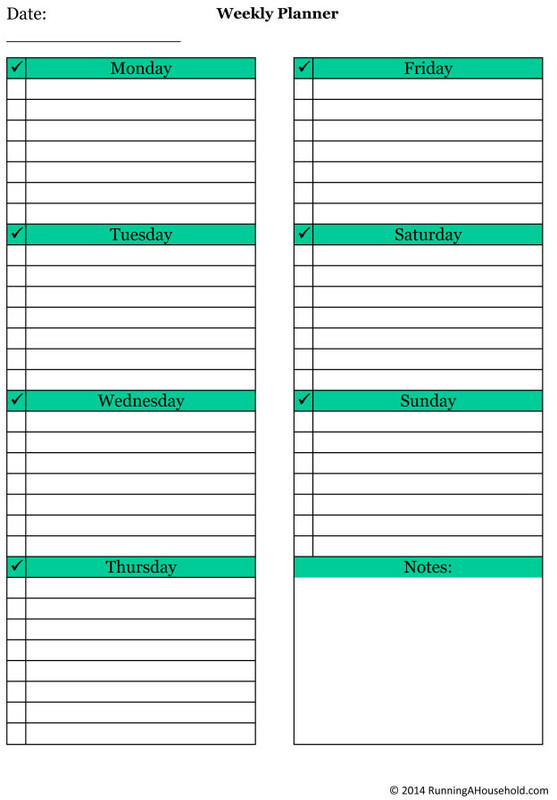 We jotted down the days of the week, Monday–Saturday, and scheduled each priority on a specific day. Then we scheduled one spring cleaning project for each day of the week. Tip: Since some items are weather dependent, check the weather for the upcoming week before slotting your projects. Setting priorities can help you accomplish what needs to be done. It will also help you meet important deadlines, such as filing taxes. Step #2: Group your like items together. 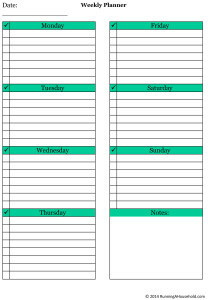 This entry was posted in Time Management and tagged cleaning priorities, household time management, overwhelmed house chores, printable setting priorities, printable time management charts, printable time management schedule, setting priorities house, where to start cleaning on April 7, 2014 by Running A Household.